A fantastically tense, taut thriller boasting the sort of fast-pacing and finesse you would expect to find in a more hyperactive James Bond movie. A fisherman trawling the Med’ resuscitates a man found floating in the water, his body strewn with bullet holes and a transmitter embedded in his back. Once recuperated, the man cannot recall any of the events leading up to his rescue, why he was left for dead, or even his own name. When investigating the contents of a safe in Switzerland, he is revealed to be Jason Bourne: a highly trained and dangerous state authorised assassin. 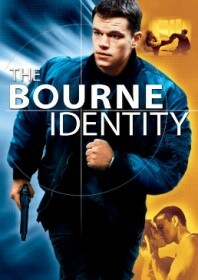 Bourne is the property of a covert wing of the US government utilising assassination squads to satisfy underhand dealings with political and social powers. Only Bourne doesn’t quite know this yet, as he struggles to decipher why a team of brainwashed hit men are constantly trying to end him. He teams up with Marie (Potente) in Zürich and the two enjoy a whirlwind romance as she tries to help Bourne piece together the fragments of his previous life before things really get out of hand. Based on Robert Ludlum’s novel, this entertaining espionage film takes the spy game to new levels with the definable hook of a leading man who is unaware of his own knowledge, power and capabilities. As Jason Bourne pieces together the facts of his own life, the audience learns and develops with him. This is where Matt Damon’s naïve brilliance comes into its own, portraying both macho heroism and insecurity with the perfect picture of a little boy lost. Thankfully Jason Bourne mostly remembers all of the cool stuff, like breaking limbs with his secret martial arts skills and how to steer through hair-raising car chases along the busy streets of Paris. Few contemporary thrillers can revel in both brains and brawn to such exciting degrees. The film is an absolute triumph.